Sarah recently retrained as a chocolatier to follow her passion and set up her own chocolaterie. 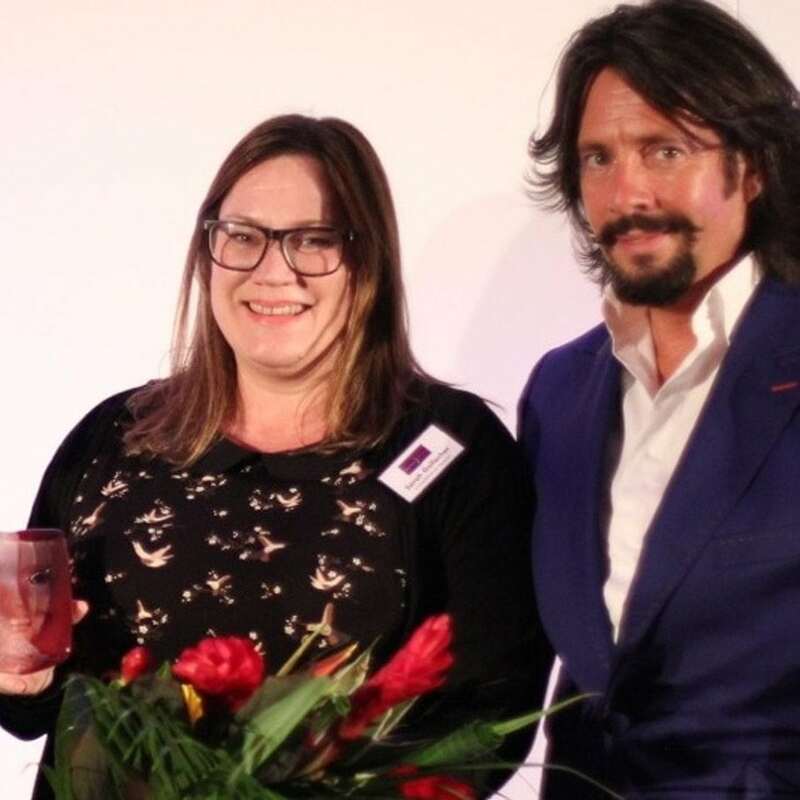 Her business, set up on a shoestring has within 18 months, traded on ‘Not on the High Street’ featured in ‘Stylist’ and ‘British Vogue Magazines’, won a Taste Gold Award and invited to produce Chocolate for Heston Blumenthal’s ‘Great British Food Programme’. In 2014 she was one of a few invited to ‘Salon du Chocolate’ event in London. Sarah opened her shop Cocoa-Cabana in West Didsbury in November 2012, and is now a focal point in the West Didsbury independent community. Sarah has the most exquisite pallate enabling the creation of unusual and experimental truffles. Her ethos is to create fresh chocolates and truffles, without the use of artificial additives, preservatives or flavourings.